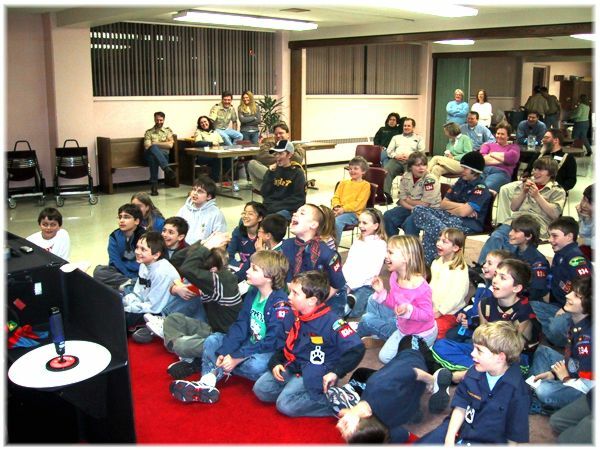 Cub Scout Magic Shows by Comedy Magician Amazing Jeffo, The Blind Magician! 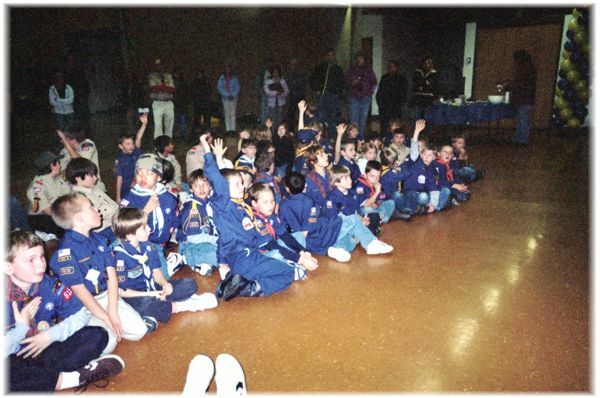 Cub Scouts Presentations!! Special Pricing ~ Call Now! 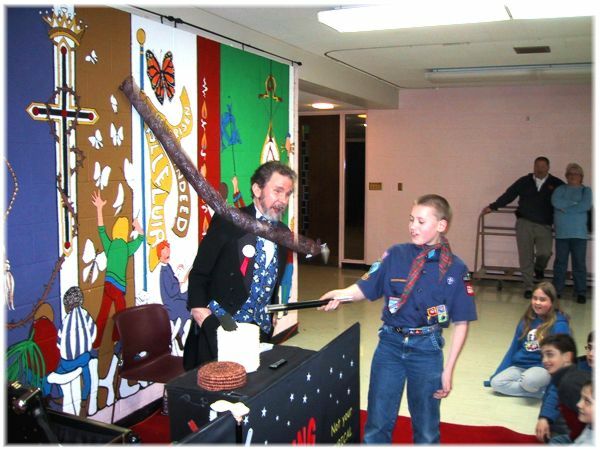 "I, Amazing Jeffo, promise to do my best to do my duty to God and my country, to promote the values and purposes of Cub and Boy Scouts." 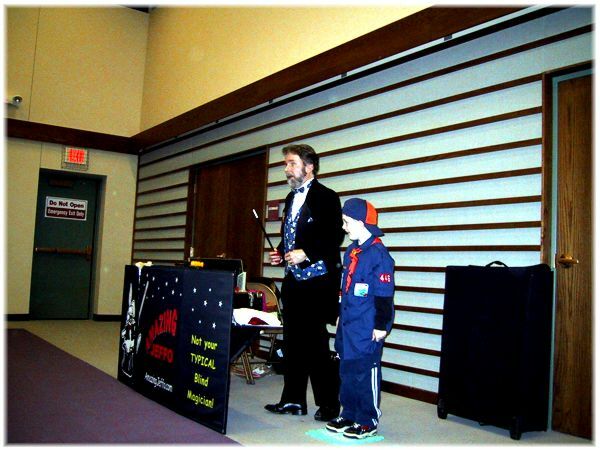 This upbeat, fast-paced magic show is tailored to "Blue and Gold" Cub Scout banquets as well as monthly pack meetings. 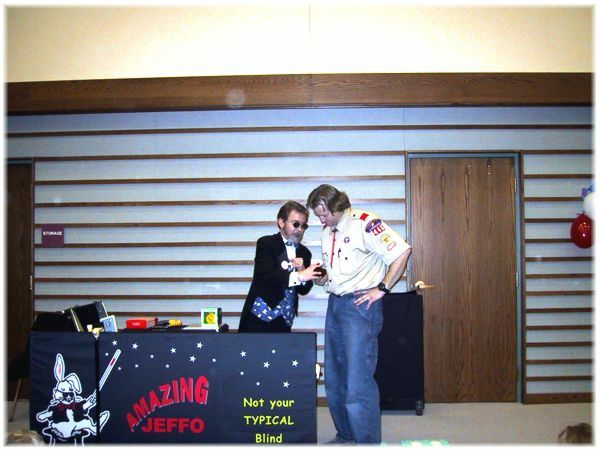 Engaging magic and music is blended with a message borne out of Jeff’s journey to illustrate core values promoted by scouting. Kids are encouraged with Amazing Jeffo’s personal example of perseverance and faith. Through his modeling, it becomes clear to the kids what is needed to overcome challenges and maintain a hope for the future. "Thank you for your wonderful performance. It was entertaining for not only our children, but for us parents as well. 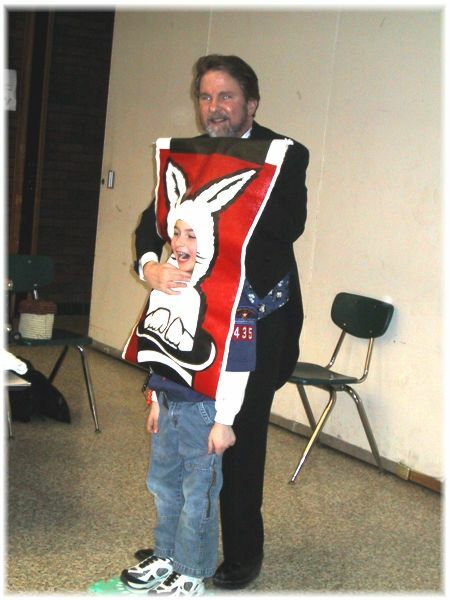 As a school psychologist by day, I work almost entirely with children in special education. I am always thrilled to see people with disabilities not only be successful, but to also educate those not fortunate enough to know just how capable a person with a disability can be. Thank you and good luck with what appears to be a rewarding career." Highly visual magic complements a message that encourages a positive attitude toward life, leading to good character development. 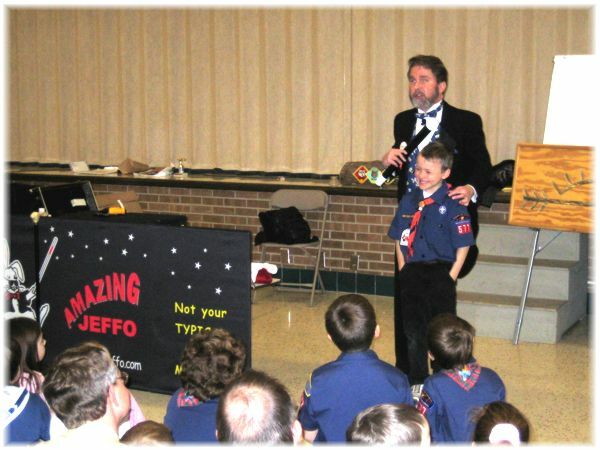 Throughout the show Jeffo uses magic and volunteer assistance from Tigers, Wolves, Bears and Webelos to teach pack members how challenges can become opportunities for personal growth and achievement. Amazing Jeffo’s message celebrates our God given ability to search, discover, and share while contributing to society. His outgoing personality engages the adults as much as the children. Combined with a hilarious sense of humor, he brings good cheer to all. "He demonstrated abilities rather than perceived disabilities. Kids were engaged and attentive the entire time. 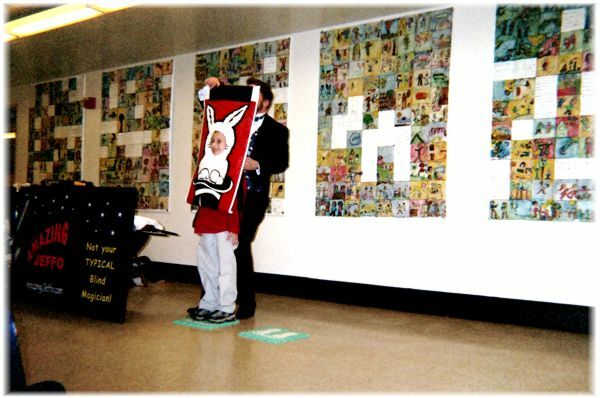 Jeffo’s ability to keep the kids focused helped them truly hear the message. 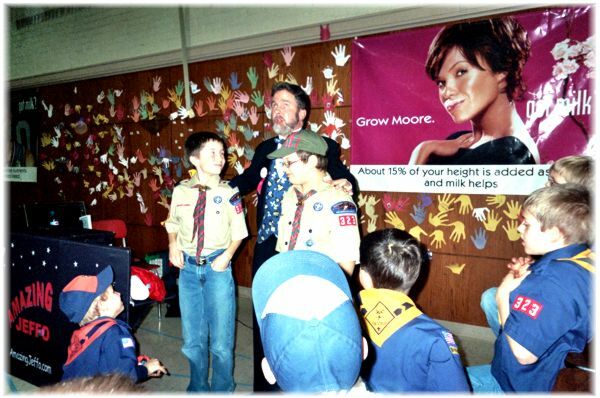 His family involving approach will help us retain adult participation in the Scouting program." 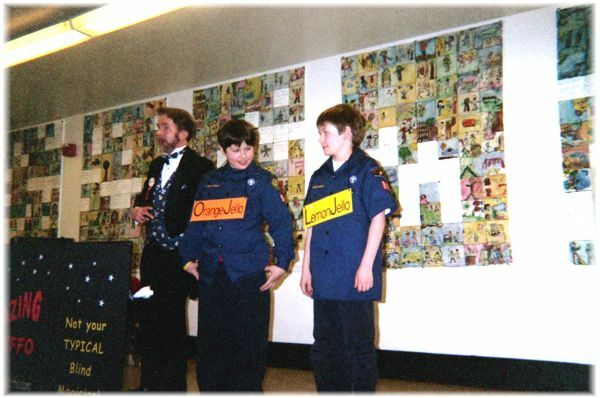 A variety of entertaining magic, stunts and routines perfectly tie in with the meaning behind the scouting colors blue and gold. "The blue stands for truth and spirituality, steadfast loyalty, and the sky above. 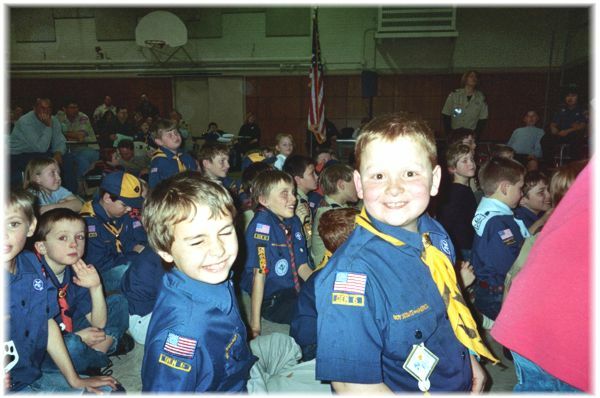 The gold stands for warm sunlight, good cheer, and happiness," Cub Scout handbook. 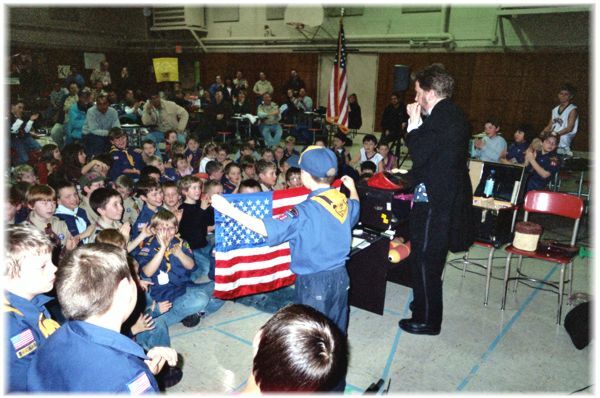 "Jeffo captivated our attention," says Linda Christensen, Cub Pack 433, Mahtomedi. 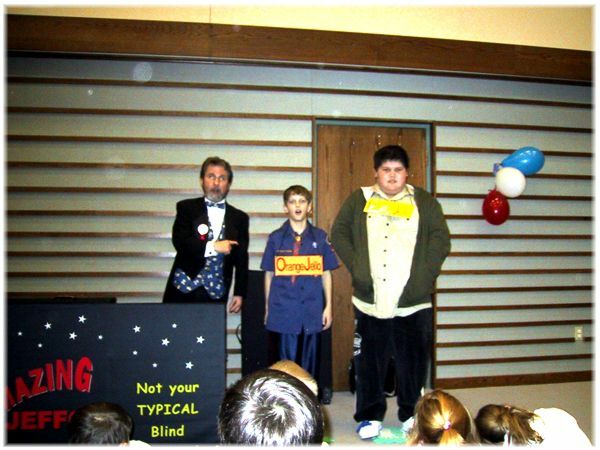 "A child said to me after the show, "He’s not really blind because he’s so good"." serve as an activity badge opportunity. "The boys learned that you keep trying and work through adversity. You can achieve and work through just about anything, as you’ve shown us quite aptly." "Jeff let the boys help during the show which gave them a real sense of team work. Afterward they were really fired up about learning magic. They learned an appreciation of not giving up and a sense of the dedication it takes to excel." 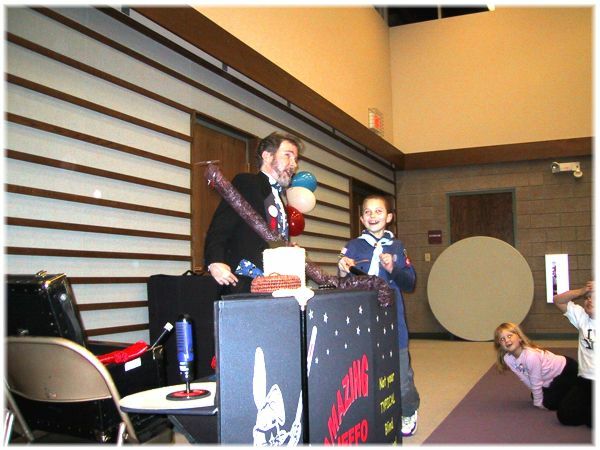 "His magic show was highly entertaining, keeping all ages engaged. He encouraged us about using our God given abilities. 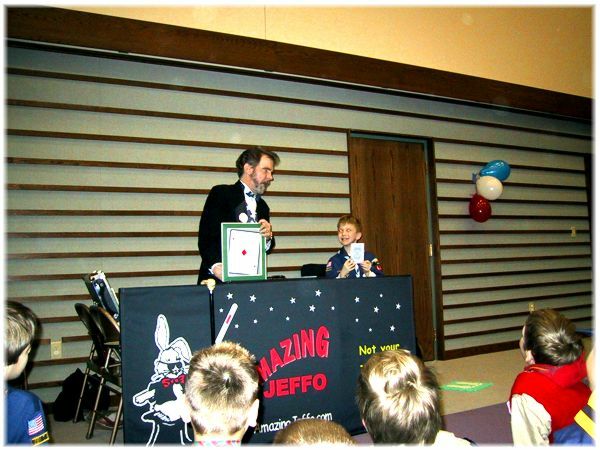 If you’re looking for a performer who can teach life lessons with humor and laughter Jeffo is it." "A very positive experience for all. A lot of laughter and wonderment at the illusions. Jeffo showed that nothing is impossible. Find something you love and go for it! His interaction with the kids removed any question that, in spite of challenges, one can continue with life being a productive member of society." 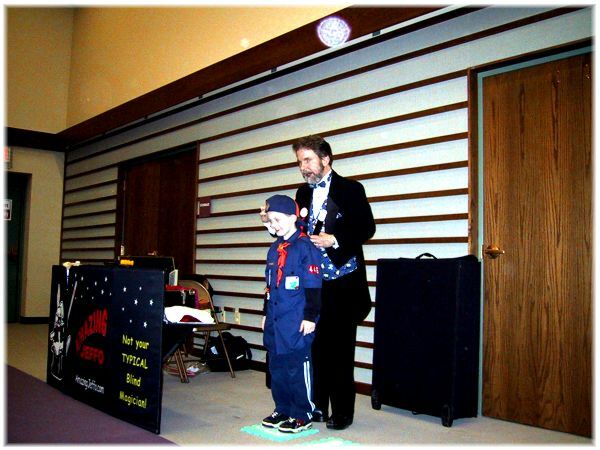 One young Cub Scout, who volunteered during my show approached me afterward and said to me that he thought he knew the secret of one of my tricks. I complemented him by saying, "That doesn’t surprise me. When you were helping me with a trick during the show I thought to myself, This boy is smarter than the average bear." He quickly responded, "That’s cuz I’m not a Bear. I’m a Weblo." The Amazing Jeffo, a.k.a. 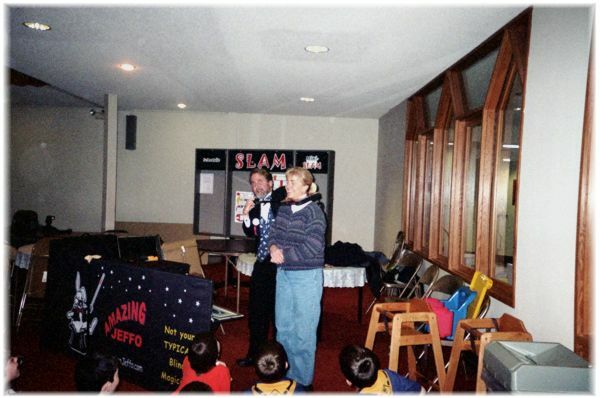 Jeff Smith, performs 150 shows per year. The Amazing Jeffo - Jeff Smith prefers to do business by phone. ©2017 Responsive Website Design by Management Specialties Web Services, LLC.